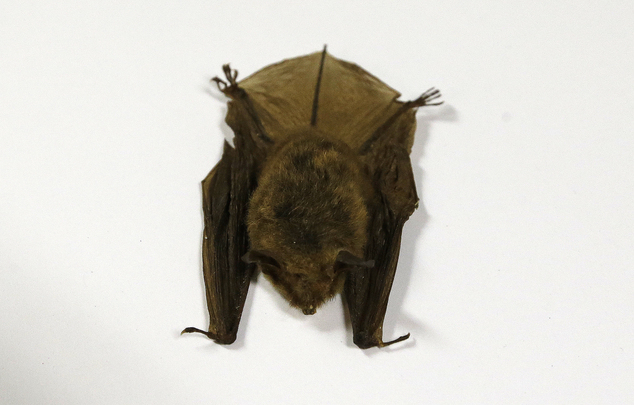 Opponents of a high-pressure natural gas pipeline expected to be built across the northern half of Ohio are clinging to the wings of a furry flier, the northern long-eared bat, in their efforts to at least delay the $2 billion project. The existence of the threatened species remains one of the impediments the partnership between Houston-based Spectra Energy and Detroit's DTE Energy face before receiving expected approval to build the 255-mile long NEXUS pipeline capable of transporting 1.5 billion cubic feet of gas per day from the shale fields of Appalachia into Michigan and Ontario, Canada. NEXUS cleared a big hurdle in November when the Federal Energy Regulatory Commission issued an environmental impact statement that found no problems with the company's proposed route. NEXUS now awaits the Commission's approval to begin construction, a step that could be delayed when one of its three Commission members resigned last week. 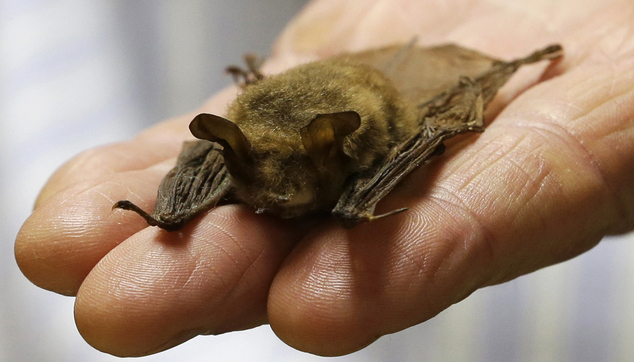 The existence of northern long-eared bats, classified as a threatened species by the U.S. Fish and Wildlife Service, along the proposed route means NEXUS isn't completely out of the woods. The bats live in caves and other sheltered spots during winter months and nest in trees during spring and summer. Its threatened status means trees in their habitats are not supposed to be felled between April 1 and Sept. 30. Pipeline opponents hope the bats will cause further delays if the Commission doesn't allow the company to fell trees after March 31. "Time is our friend and their foe," said Jon Strong, of Medina County, where about 450 feet of the pipeline is slated to be built along the edge of his property. In the environmental impact statement, NEXUS said it's preparing a contingency plan if the company needs to cut down trees during spring and summer that would include data on the number of bats likely to be killed. Strong, along with Medina County resident Paul Gierosky, and other leaders in the pipeline fight have devoted countless hours the last two years trying to convince NEXUS and the Federal Energy Regulatory Commission that the route should be moved south, away from backyards and neighborhoods, to farmland where the existence of a 36-inch-wide pipeline carrying potentially explosive natural gas would have less effect on people's lives and property values. Farmers are allowed to grow crops over buried pipelines. Structures can't be built over top of them. More than 100 property owners in Medina and Summit counties, including the city of Green, have refused to allow NEXUS surveyors on their land to stake out the pipeline route. The property owners' attorneys say they expect NEXUS to use eminent domain to conduct surveys and take land they need. Opponents also question NEXUS' need after the Commission last week approved a project that also crosses northern Ohio and travels into Michigan and Canada and has the capacity to carry 3.25 billion cubic feet of gas per day. While opponents have acknowledged they're engaged in a rearguard action, the fight against NEXUS for Gierosky has become far bigger. 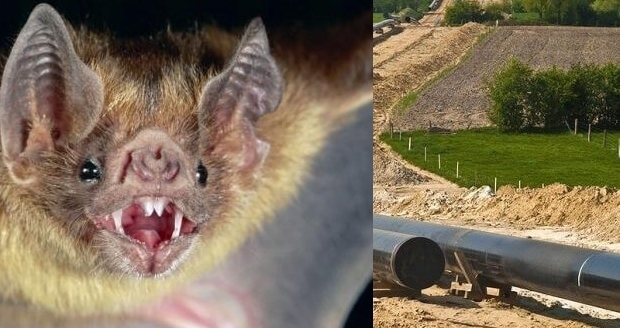 Responses to "They are protectors: Ohio pipeline cannot built thanks to endangered bats"
Hey Nexus even ONE bat death due to your pipeline is one bat death to many. Figure it out so no bats need to be killed or disturbed.